AWARE is proud to be the charitable partner for the Whistler Naturalist’s annual Whistler BioBlitz. 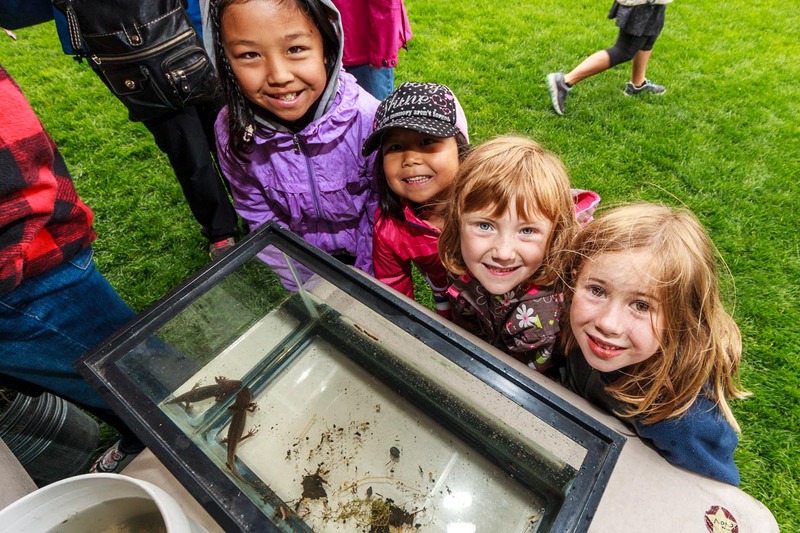 The Whistler BioBlitz, Canada’s longest-running BioBlitz showcases both Whistler and the Sea-to-Sky Corridor’s amazing biodiversity through hands on learning and hard science. This free public event brings experts, residents and visitors together in a fun, competitive atmosphere to collect biodiversity monitoring data, while exploring the region’s natural history and stewardship. BioBlitz attracts 60+ top-level scientists each year from BC and beyond who contribute over 1,000 hours of volunteer time. Whistler BioBlitz has added over 1,200 previously undocumented species to the region’s biodiversity list, including many rare species and species at risk. We can’t protect species we don’t know about. BioBlitz is a 24-hour race against the clock to count as many species as possible––mammals, birds, plants, frogs, fish, bugs––you name it. A BioBlitz introduces people to real (and fun) science and the amazing diversity surrounding us. The concept of BioBlitz was created by Harvard biodiversity icon E.O. Wilson to raise awareness of the huge diversity of animals and plants, even in developed areas. Since its creation, annual BioBlitzes have spread throughout North America. The Whistler Naturalists are proud to have presented the first BioBlitz here in 2007. The BioBlitz targets alpine and valley ecosystems across Whistler. Results from the BioBlitz will contribute to the Whistler Biodiversity Project, a multi-year, multi-group effort to catalogue and protect our native biodiversity.